Parks are public land more or less empty of human habitation, and can be of any size. Reserves are large areas centered round a significant dark sky area (the core), with a buffer zone that includes communities stretching a min of 15km on all sides of the core. The International Dark Sky Association runs an Dark Sky Places program to recognise places that have taken efforts to protect their night time heritage. There are three types of Dark Sky Places. Dark Sky Parks and Dark Sky Reserves are what will be discussed in this document. The third category is a Dark Sky Community. Dark Sky Communities must be legally organised entities. In Ireland this would be at the Local Council level. Although many towns and villages have local councils they do not have legal powers to enact lighting regulations and so would not qualify under this scheme. I will not discuss Dark Sky Communities in this document as I don’t think they are appropriate for Ireland. What are Parks and Reserves? The objectives for Parks and Reserves are similar. The area must possess and exceptional or distinguished quality of dark skies. The areas must be specifically protected for their scientific, natural, educational or cultural heritage. The bodies owning and/or governing the areas must recognise the value of the starry night through regulations and formal agreements and long term planning. For example this would involve the local authority/council officially supporting the project in their planning rules, lighting practices, etc. The formal agreements, and implementations are a key requirement in achieving official status. The benefits of parks and reserves are very broad in scope. Protected night time environments will benefit nocturnal animals (including amateur astronomers!). Having an official designation which can be used for tourist purposes will aid in the promotion of the area. In Ireland the likely areas for a park are reserve are areas which already are popular tourist destinations. These areas typically have peak tourists in the summer but few visitors in the winter. By becoming a Dark Sky Park or reserve the communities and businesses will have an advantage in attracting visitors during these lean periods. In areas that already hold certification some hotels now offer ‘Astronomy weekends’ where guests are given introductory talks on astronomy and weather permitting an observing session; holding more traditional ‘star-parties’ in the area can also benefit local businesses. There are also non-astronomical related benefits, such as ‘bat tours’ and nighttime hillwalking that having a Dark Sky Accreditation can help to support. This is where Parks and Reserves diverge. Each of the following must be met. 1 All protected public lands are eligible. The core must be pubic or private land protected for scientific,natural, cultural, or heritage reasons. 2 Parks must provide pubic nighttime access. A portion of land with access available for a portion of the night may be sufficient. The core is encouraged to provide the opportunity for public nighttime access. 3 The park must have an outstanding dark sky resource relative to the population it serves. The core must have an outstanding dark sky resource relative to the population it serves. 4 Park night sky must meet a minimum quality. Milky Way must be visible (limiting mag 5.0 / Bortle 6) Core must have identified sources of light pollution and clearly identify current and future threats to the sky quality and define areas of protection accordingly. – define methods for determine whether areas should or should not be lit. – define methods to access what type of lamp should be used for particular tasks in particular areas minimising image to wildlife, stargazing activities etc. – guidelines should conform to or surpass any existing agency / departmental / government policy. – define methods for determine whether areas should or should not be lit. More restrictive in the core. This requires having a lighting inventory performed by a lighting professional to quantify the work required above. – 100% of lighting on park land conforming or committing to conform. 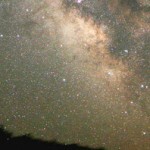 – park has set a leadership example though an exceptional dark sky project. e.g. A night sky friendly lighting project, dark sky restoration project, night sqy monitoring with public education. Commitment to dark sky management as shown by:- part of the core’s interpretative program. – 67% of lighting within the core conforms to the regulations. – 95% must conform or commit to conform within 5 years. – communities must have examples of conforming lighting installations relative to population. – each municipality should have at least one highly visible demonstration project. – ~15% reduction in light pollution achieved as a result of the above. – communities must have a program to encourage all new lighting to conform to the regulations. A measurement program must be maintained to monitor the core. Acknowledgement by higher than community level (e.g. Council, local authority) that dark skies are important and including this in documents and long term planning. Core must erect and maintain sinage indicating Dark Sky Reserve status. Core must erect and maintain sinage indicating Dark Sky Reserve status. 4 Agency, departmental, municipality, community policies on outdoor lighting and dark sky protection. 5 Documentation on sky quality demonstrating the noteworthiness of the resource. 6 Documentation signed by park/core administrator showing lighting inventory of the park and the plan to bring lighting to conformance. 11 For a reserve – Documentation showing the historical, natural, or cultural importance of the core area. Individual Parks managed by the National Parks and Wildlife Service may apply for Park status. Dark Sky Reserves are more suited to the larger area projects that would be appropriate in Ireland which may encompass part of a NPWS protected area.